Our client applies Internet scale technology to the challenges facing enterprise businesses, with the mission to solve the biggest, most intractable challenges of enterprise software. 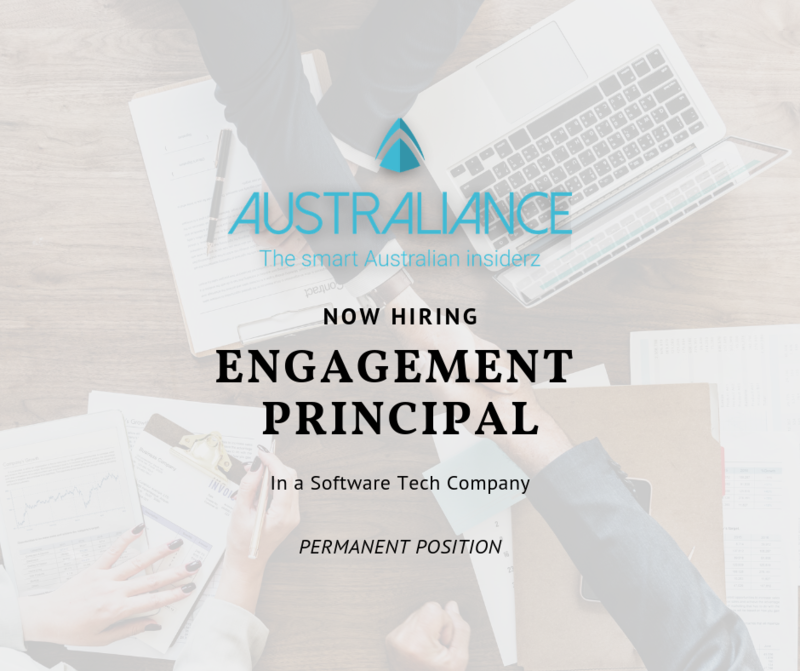 To cope with their expansion in APAC, they are actively looking for an Engagement Principal. The Engagement Principal is the primary person responsible for the successful deployment of the solutions at their clients and, ultimately, of the value delivered to their clients, he/she builds a long-term client relationship, becoming a “trusted advisor” to senior level executives within their organization. In addition, the Engagement Principal is instrumental in winning new customers being a key contributor to sales cycles (as a subject matter expert – SME- and as the owner of key activities such as customer workshops, RFx responses, demos, POCs, and proposals). The Engagement Principal skilfully navigates both pre-sales and post-sales responsibilities, ensuring a seamless engagement from the first touch points to the actual project delivery. Be the single point of contact between the customer, the internal team, as other parties such as consultants and system integrators for all project-related topics (except commercials). Set up each new project for success by creating the project plan, staffing the project with the appropriate resources, and setting up the PMO with communications and governance model. Ensure project requirements are understood by internal resources and delivered on-time and in accordance with customer expectations and statement of work (SOW). Partner with the Client Director to identify and close upsell opportunities that will move the client towards the Self-Driving Enterprise. Act as supply chain SME, both during the implementation and in pre-sales situations. 10+ years of experience leading and managing post-sales enterprise software implementation projects. Experience in the pharmaceutical or CPG vertical is a plus. Familiarity with supply chain, logistics, and planning software – specifically, SAP and best-of-breed such as JDA, Kinaxis, etc. Experience with agile project work/scrum methodologies as well as with writing proposals and SOWs.